Do you see this? It's not even a joke! 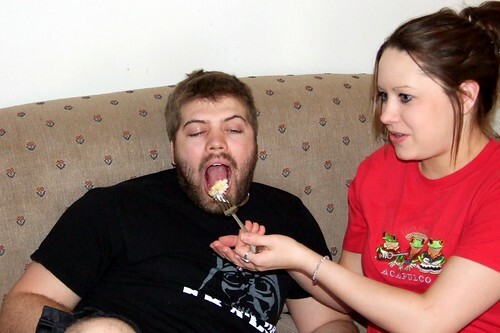 This is an actual, un-doctored photograph of my brother being fed his plate of food by Tasia. I'm starting to think she's St. T-Biscuit with all the stuff she has to put up with. She ended up with two babies not one!